Window cleaners – reclaim your evenings. No more round collecting. Hey – some of you guy’s on twitter have asked me about having your customers pay on line. Well I just took my first 3 or 4 customer payments online the pass couple of days and I have got to tell you it feels great. That is 4 more less doors to knock and the cost is less than it is for your time collecting and burning the fuel in the van! Best of all – when a customer pays, you will receive an email and a text to your mobile both of which tells you which customer and how much. Right – you agree you want to go ahead. 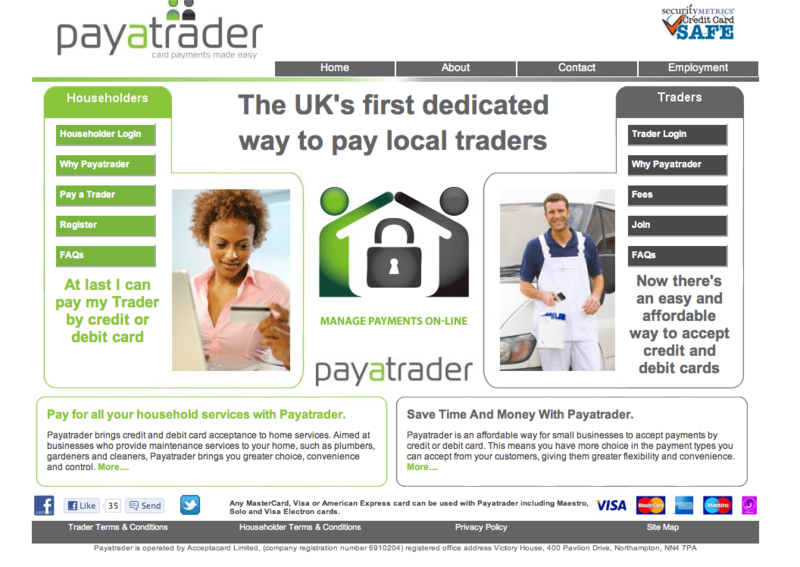 Then there is a one off set up charge of £99.00, however, Payatrader are offering WCM readers a discount of 25%, so the one off charge will be £74.00. This is what I paid. To get the discount you have to give them the code at the end of the article in April 2012 issue pages 36/37. Once you have paid you will get the chance to set up a password that you can use in conjunction with a given ID number. Once I got this all sorted my next step was to tell my customers. The slips or tickets that I post through the letter box after cleaning windows needed to change and include the new information. My slips are just photocopies. I have a master sheet with about 20 slips on them. I might photocopy 20 off giving me 400 slips. I will then hand out some to my lads, put some in my pocket and put some spares in the van. My slip reads: Your windows have been cleaned today blah blah blah and includes all the payment options. I added the new payment option and placed this at the top of the slip with the Payatrader logo on it and my website. So how do your customers pay you?? You will then come to the screen below where you will have to input your ID number then your password. Once this is done, you are in. Now you need to get that logo on your website. If you look for the ‘Taking Payments’ tab, click it and scroll down the drop down menu, you will find Payment Button, select this. Here, you will find slight variations of the logo in-terms of boxed or not boxed and colour etc. and more importantly – size. Next to each variation is the embedding code. You simply copy and paste this code for your website. Incidentally, here is an example regards the cost of this service. You will be charged a percentage. In the above box you will see that some body paid me £5.50. The cost deducted by Payatrader was 30p. I don’t know about you but that is better than sitting in the van, driving to that customer, burning the fuel, waiting at the door whilst they find their purse only for them to turn around and say that they don’t have any money! Besides, put all you prices up by 50p and you have covered that cost straight away. It is important to note that the customer is not charged by Payatrader for making the payment on line. Another two neat facilities that this service has is, number one; providing you collect your customer email address, you can send them a bill via email at the end of the day after you finish work. If you have cleaned 20 houses ( for example) this would only take you 10 minutes to do. In the email that the customer will receives there will be a Payatrader link and request for payment. They click this and pay, Bob’s your Uncle! I asked for feed back from my customers that used this. They reported that it was dead easy. The system will automatically let you know if they have not paid so that a reminder email is sent. I believe the reminder email is automatic. And lastly, number two; if you wanted to, a customer can pay you over the phone. 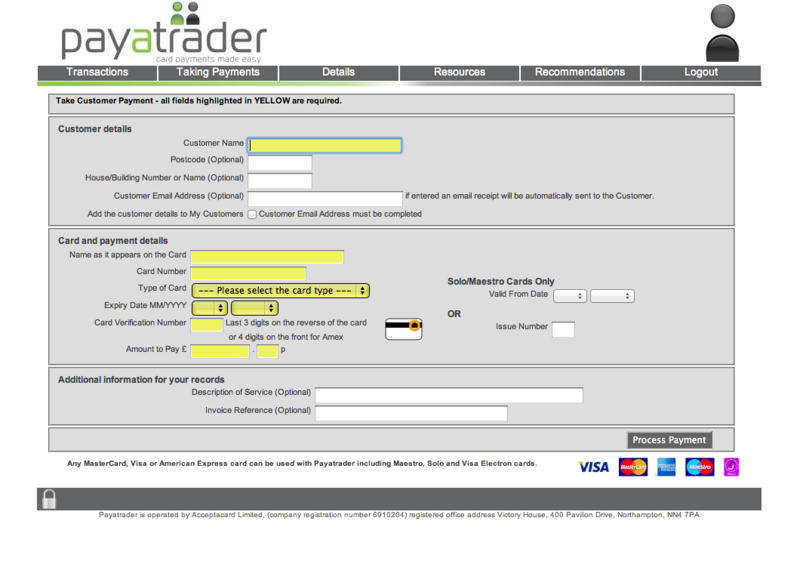 Payatrader gives you access to a virtual terminal where you can input the customers card details. You will of course, have to be in front of your computer to do this. 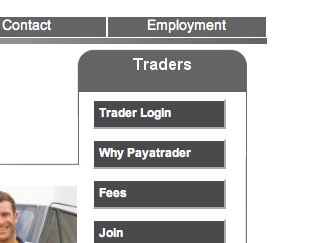 As I have been working over the pass week, I have used the new slips with the Payatrader logo on. People are starting to use this service and I love it! Its important to tell everyone as you work your round as the more people that know about it, the more people will use it and the less time you spend knocking on doors. ← Ionics to officially release a new system, the ZeRO PPB that produces pure water at 0 parts per billion!